Tom McDonald was responsible for discovering the Creation. He signed them to his own UBA Records label. They formed in Blenheim in 1970 but soon based themselves out of Wellington. Other groups and artists that Tom looked after in Wellington from 1962 to 1974, and there were many, included the Simple Image and Barry and the Breakaways. 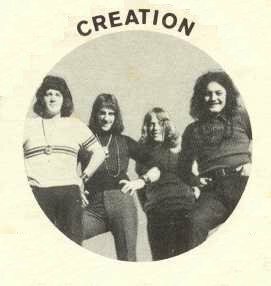 The Creation's first single "Carolina"/Here In My Heart" was released in May 1972 and by June had peaked at number 7 on the National charts. "Carolina" was entered into the 1972 Loxene Golden Disk Awards where it won the group award. A follow-up single "Can't Help Myself"/"Pearl" was not successful, not even getting a look at the charts. A self-titled album was also released in 1972. Little more was heard from the group until September 1973, when they released a remake of the old classic "Tell Laura I Love Her" with "Blind Boy" on the reverse. For some reason the song was even more successful than "Carolina", reaching number 3 on the National charts. Three more singles were released during 1974, but none of them made the charts. They were "Teeny Bopper"/"Windy City", "24 Sycamore Street"/"Eloise" and "Start Again"/"If I Ever Dreamed I Hurt You". That wasn't quite the end of Creation. Radio stations in Sydney started playing "Tell Laura I Love Her" and in August 1974, almost a year after being released in New Zealand, the song had reached number 4 on the Sydney charts and number 20 on the Australian charts. The group was rushed over to Australia by Tom Robinson, but unfortunately there had been that many line-up changes since the song was recorded, there were no original members who had performed on the recording left. 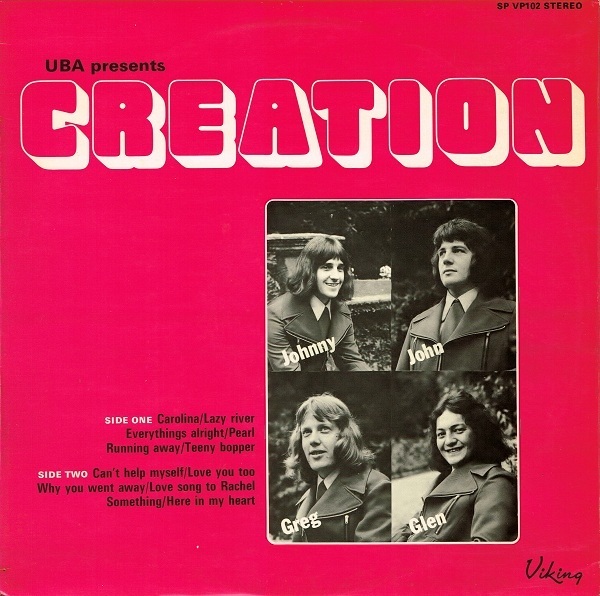 Creation spent three months in Sydney, playing to very small crowds, before returning home and splitting up. Greg Christiansen went on to record three solo singles between 1977 and 1980. The first two were on the Vertigo label and were "Marie"/"The Good Guys and The Bad Guys" in 1977 and "Smiley"/"Windy City" in 1978. In 1980 his last single was on EMI and called "Baby I Like It"/"If You See My Baby". It was also released in Australia.